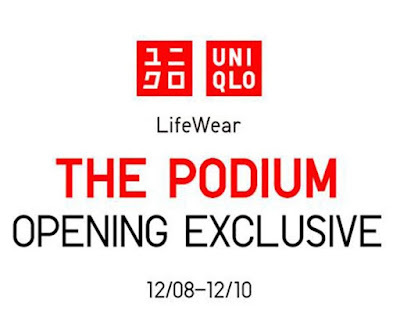 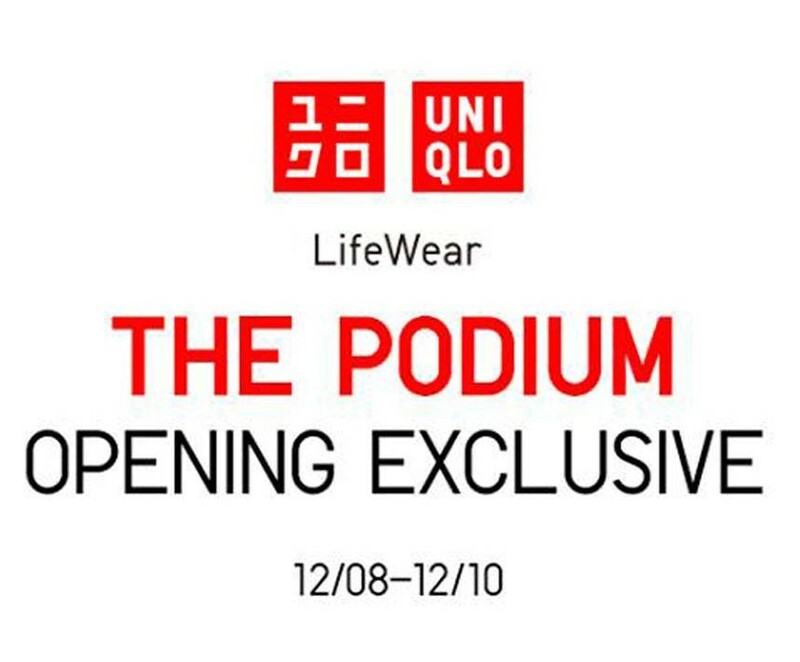 UNIQLO is opening it newest branch at The Podium Mall in Mandaluyong. 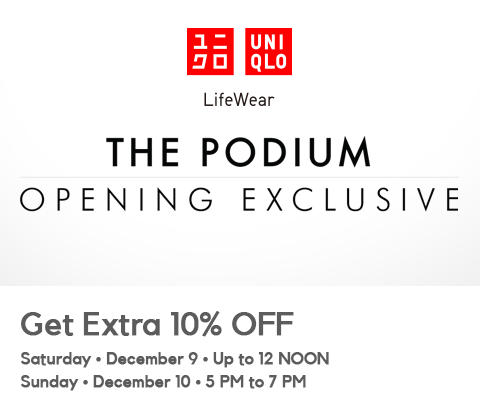 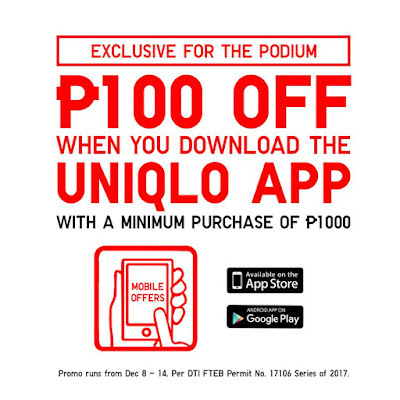 Get exclusive deals and discounts on December 8-10, 2017 only at UNIQLO The Podium branch! 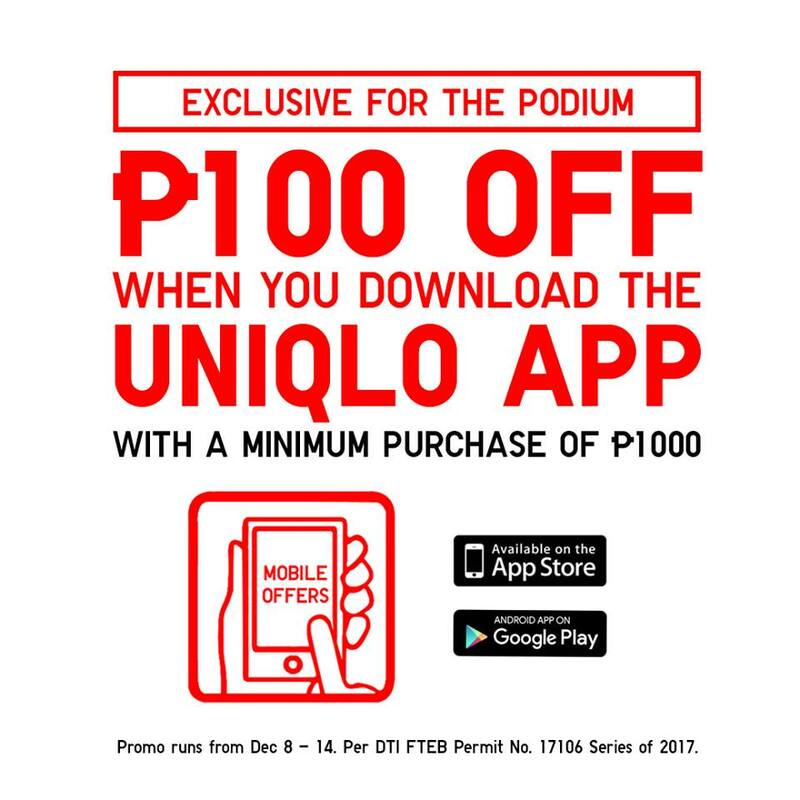 Use your BDO Credit Cards on Friday, December 8, 2017, and get extra 10% off for a minimum P3,500 minimum purchase. 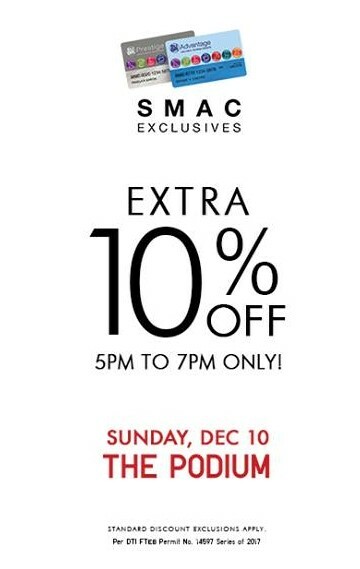 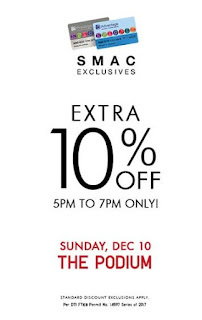 SM Advantage, SM Prestige, and BDO Rewards cardholders get extra 10% OFF on ALL items on Saturday, December 9, 2017 from store opening til 12nn, and on Sunday, December 10, 2017 from 5pm to 7pm at the opening of Uniqlo in The Podium. 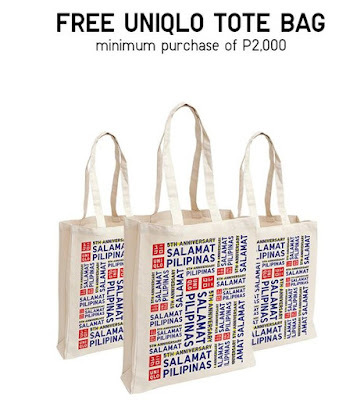 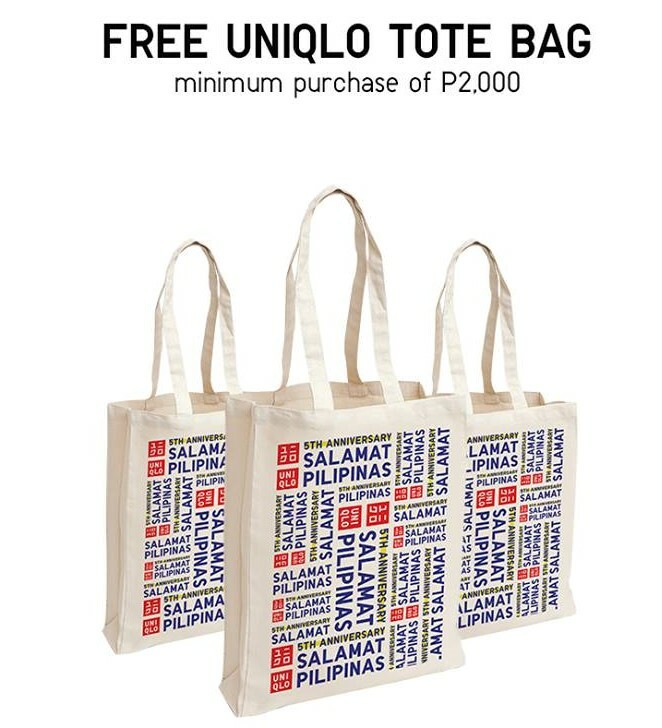 Get a FREE UNIQLO Tote Bag for a minimum purchase of P2,000. 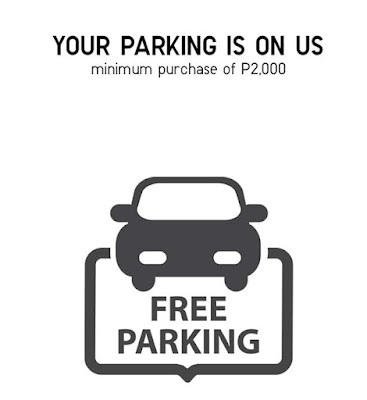 FREE parking, as well for a minimum purchase of P2,000!